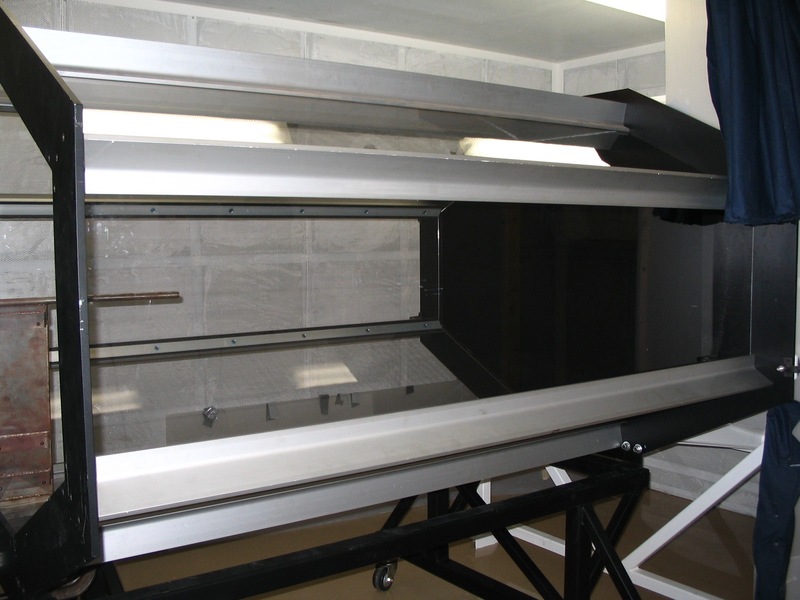 Our hypobaric climatic wind tunnel for bird flight is capable of simulating conditions up to 7 km altitude with high quality, low turbulence air flow at speeds of up to 65 km/h. The working section is large enough for birds to fly in groups and exhibit natural flight behaviour. The birds enjoy flying in this space. The working section is surrounded by a solid steel plenum that allows us to adjust air pressure, temperature and humidity to simulate the conditions birds would experience in the wild. AFAR also has a world-leading long-duration high-speed particle imaging velocimetry (PIV) system with unique capacity for visualizing the near-wake of flying birds. 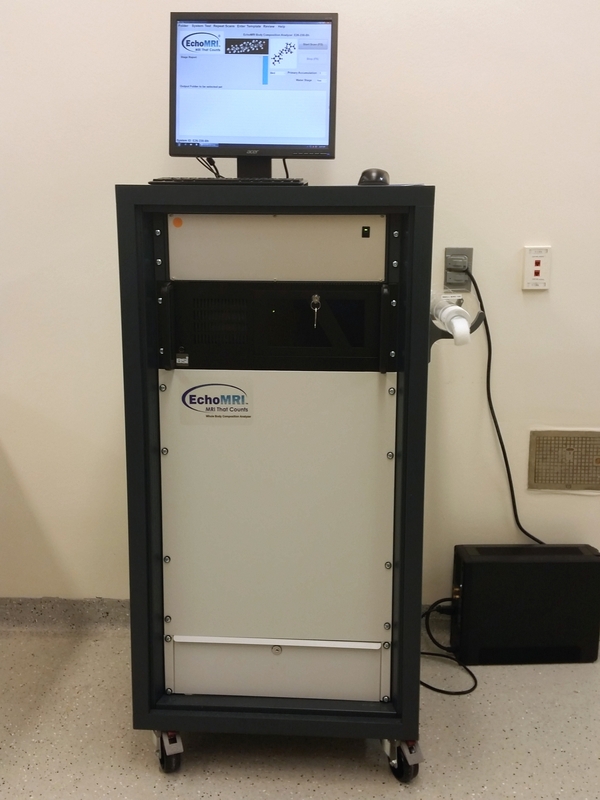 AFAR is home to two EchoMRI Quantitative Magnetic Resonance Scanner instruments. QMR (also known as Nuclear Magnetic Resonance Relaxometry) takes measurements of total body fat, lean mass, free water and total body water. The mesurements produced by the EchoMRI system are "the most precise and accurate Body Composition Analysis (BCA) method available today, validated versus chemical analysis in several different published studies" (Manufacturer's website). QMR allows body composition analysis on live, unanesthitized subjects with no ill effects, permitting analysis of the same subject pre- and post- experiment. Our QMR instruments have been validated for a variey of bird species and have also been used to quantify body composition of rodents, snakes and some invertebrates. 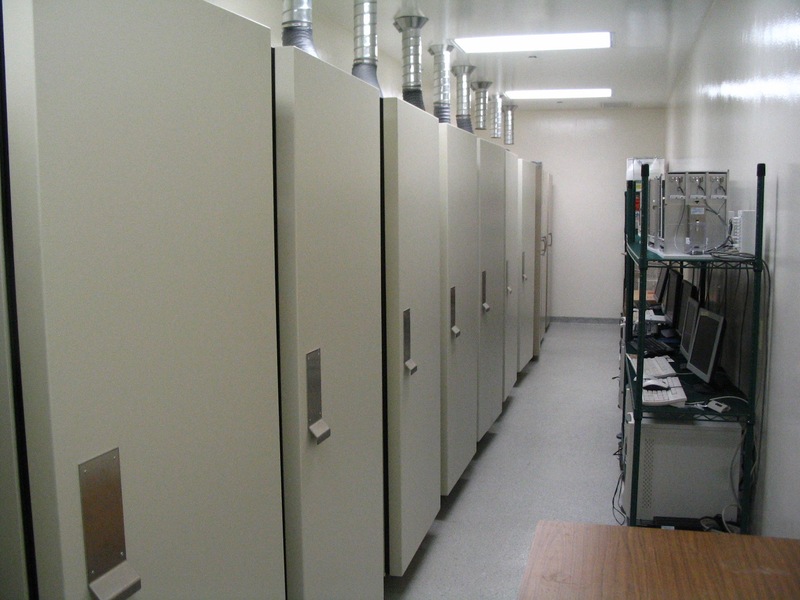 AFAR houses a number of acoustic isolation chambers (modified audiometric testing booths) specifically designed to allow long-term housing of birds. Having the ability to keep birds isolated from environmental noise has allowed for research on the learning of song, the effects of human-produced noise on bird development and provides a distraction-free environment for various types of behavioural testing. AFAR researchers have a variety of high quality microphones and digital aduio recorders and a suite of software packages to analyse bird vocalizations. Video analyses can be conducted manually or automatically using Noldus Ethovision XT and Noldus Observer XT software packages. 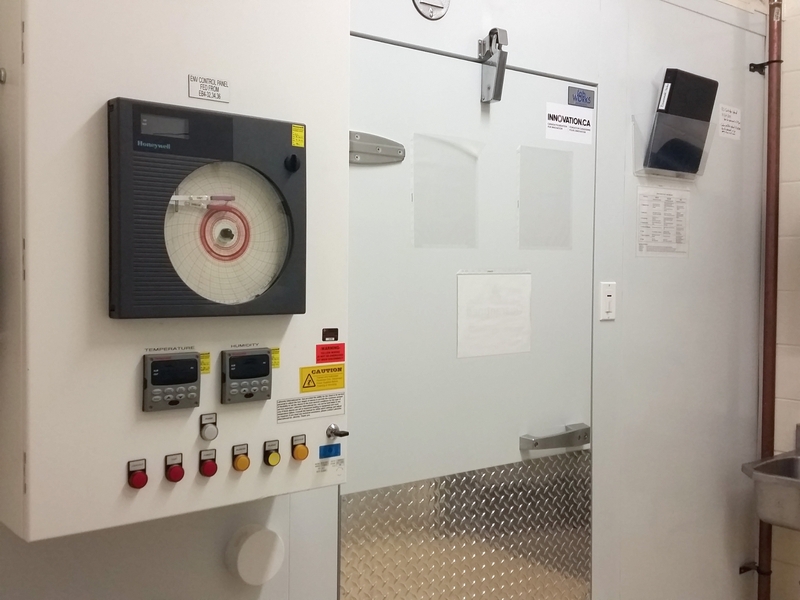 When close control of environmental conditions is required, AFAR has two temperature and humidity controlled chambers specially designed for bird / animal housing. 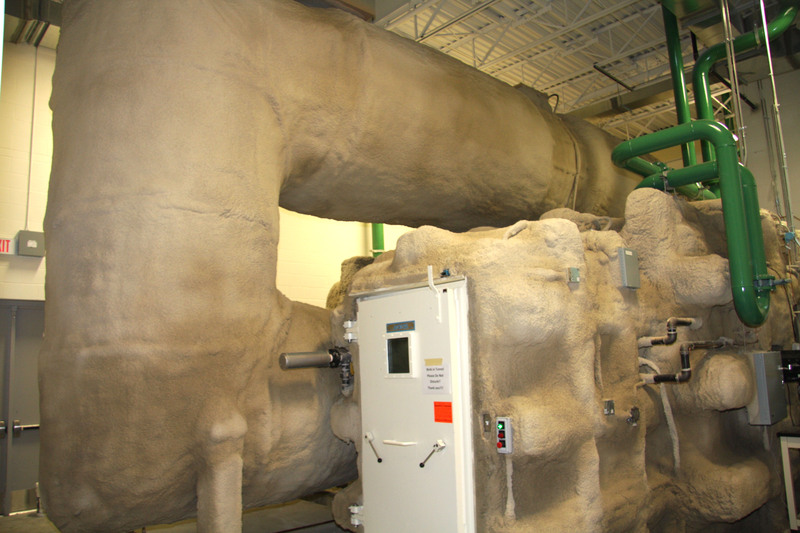 Each chamber can be independently set for a wide range of temperatures (approx. 3 to 30 °C), relative humidities and day/night cycle, allowing for year-round investigation on environmental impacts on avian physiology. AFAR has two behavioural observation suites. 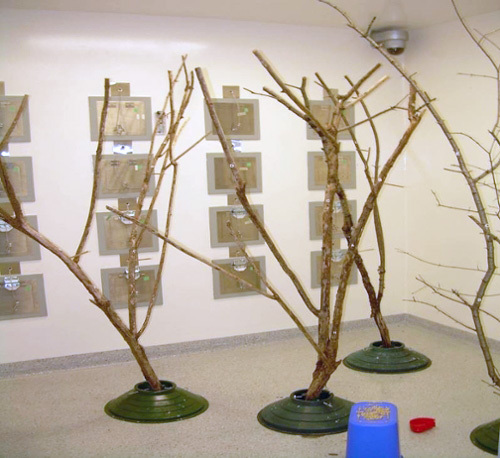 Each suite allows researchers to remotely release individual birds from their home cages into an arena. From behind a one-way mirror researchers can observe and quantify a variety of behaviours or performance on cognitive tests. 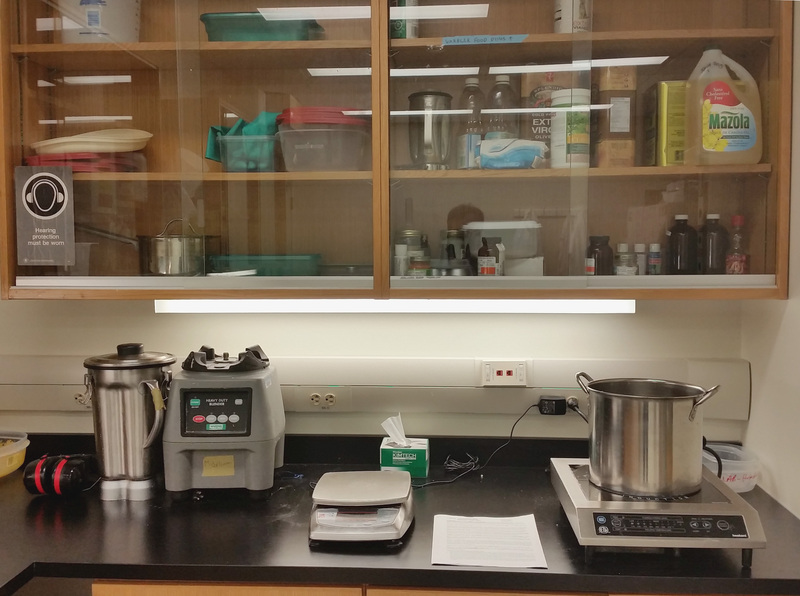 AFAR has a dedicated diet prep area that allows the preparation of custom diets for a range of species. These custom diets can be used as experimental manipulations, or to meet the needs of particular species' nutritional requirements. 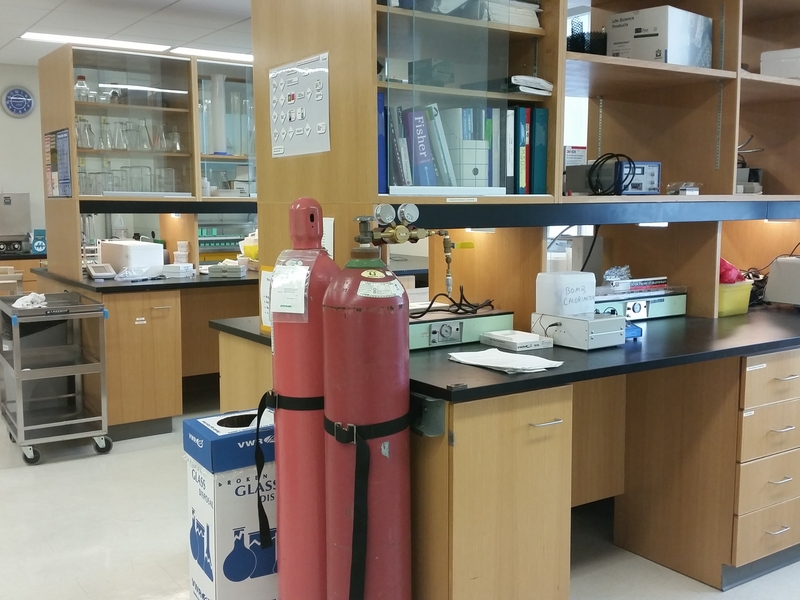 AFAR is home base to the Field Laboratory for Integrative Ecological Research. 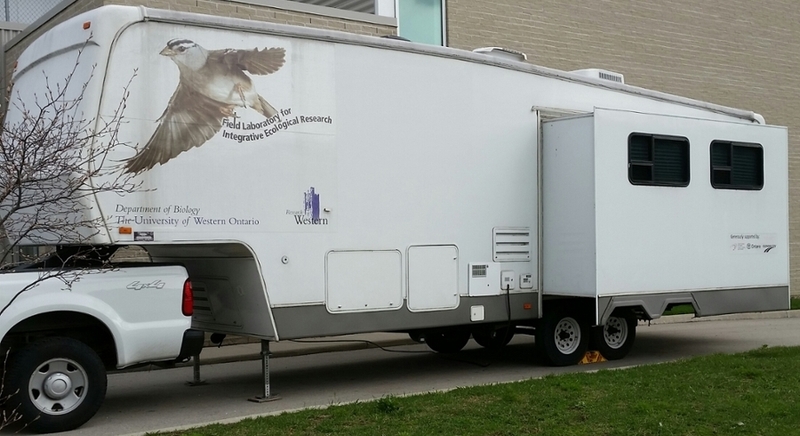 The FLIER is a tow-behind RV which has been converted to a mobile lab space, allowing researchers to bring some of the facilities of the lab directly to the field site. Among other laboratory tasks, AFAR's "portable" QMR can be loaded on-board for field-expedient BCA, and a small aviary is available for temporary holding of wild-caught subjects. 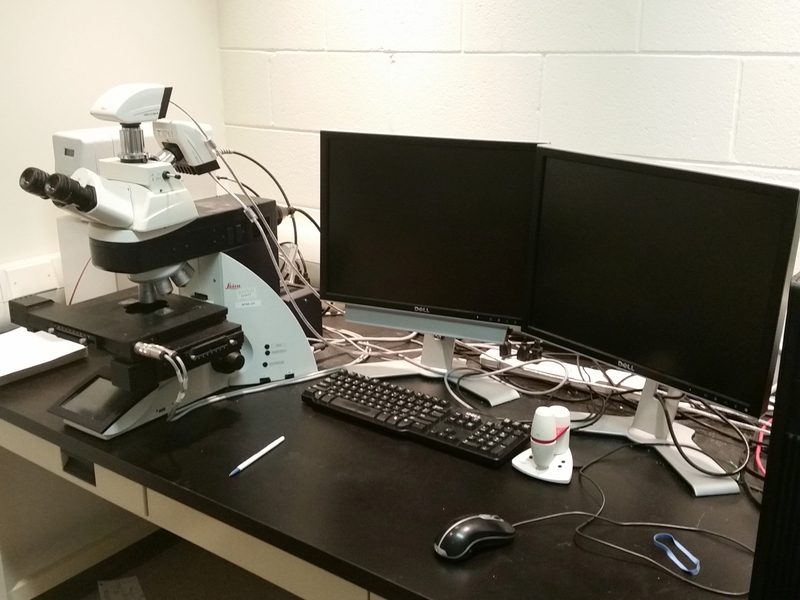 AFAR has a full research laboratory and microscopy facility on-site, allowing for a wide variety of molecular, histological and physical analyses.